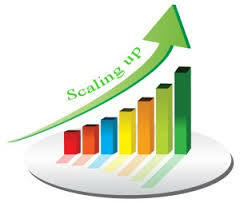 Team Scaling Up By Virtualization Leverage - D'Alfonso & Co. Team scaling is a recurring need, when companies, especially large ones, get a new project and get started, by a small group of explorers to setup the base and create the development environment. One typical scenario is a bug fixing project, where a weekly number of bug fixes are the metric used in the project to measure the compliance to the contract. One thing that it seems we make quite good is helping large companies in this cases in scaling up teams expanding at a sometimes explosive speed as the factory engine starts on an unpredictable date, and staffing starts. Virtualization is often linked to consolidation and large companies infrastructures, but we found it a strategic solution to support many situations where it offers not only a cost reduction, but a better way to manage team scaling and development environment. In one real case, a bug fixing project for the Navy, the working group started with three people, two interns and me, and became a 32 people working group in less that 30 days. More, the software used to see fix and check the bugs required more than a single machine to run, and some IP were static. The best way to get people working was creating a virtual environment in a VMware Workstation reproducing the full group of machines needed and using the network isolation provided by the host only networking to replicate the environment in multiple hardware. More, the workstation was able to run on simple PC based servers, so the whole set of hardware was actually quite not expensive and also was possible to used already available hardware, important where purchase procedures are not simple, or as fast as needed, as for any large company. Scaling up in a way that make available the needed resources to a fast growing team is something that creates a great satisfaction, and we love to see all able to go on in the job.